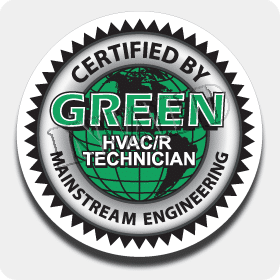 When you want an air conditioner company in Laporte, CO that is cost-effective and reliable, contact Green Tech Heating & Cooling today! Our company has been providing air conditioning services to this region for many years, ensuring they have fantastic cooling. We don’t just offer cooling services, we also supply our clients heating services. If you need to schedule an appointment for AC or heating services, contact our technicians at (720) 276-1403! When you work with our group of HVAC contractors, you are able to receive wonderful service for your AC. Air Conditioner Replacement and Installation For air conditioner installation or replacement service, please call our HVAC contractors today. Air Conditioning Maintenance Our contractors have the skills and knowledge to offer quality air conditioner maintenance. Air Duct Sealing, Repair & Installation Need air duct services? We offer sealing, repair, and installation services. Central Air Conditioning Repair If you have a central air conditioning unit and require repair service, please call our contractors. Emergency Air Conditioner Repair Have an emergency with your AC? Feel free to contact our technicians now for emergency repair service. Indoor Air Quality Need greater indoor air quality? We offer systems like filtration, purification, and humidifiers. Because the winters can be very cold, if you have issues with your heating system, you must get professional repairs. At our HVAC company we will help you if you need reliable repairs. If you have a furnace, boiler, or other heating system, you can rely on us for repairs. If for some reason it is past repair, we can offer heating replacement services. Give our heat and air conditioner company in Laporte, CO a ring at (720) 276-1403 to make an appointment for heating. Boiler Repair & Replacement To obtain masterful repairs or a replacement for your boiler, look no further than our HVAC technicians. Central Heating Repair Have a central heating system? Our company is able to deliver affordable and quality repairs. Electric Furnace Repair & Replacement Own an electric furnace that could use repair service or replacement service? Contact our HVAC technicians now! Electric Heat System Repair For customers who have electric as their heating source, you can trust our professional repair service. 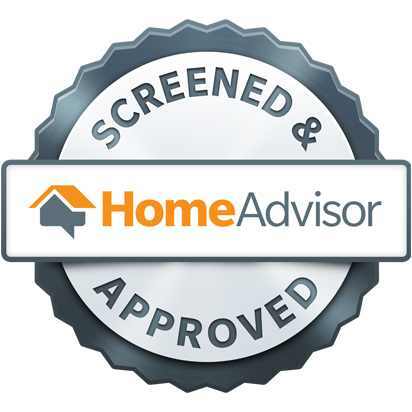 Gas Furnace Repair and Replacement Do you have a gas furnace that needs to be repaired or replaced? Contact our HVAC contractors now! Heating Maintenance Heating upkeep is an excellent preventative measure in order to extend the lifespan of your heating unit. If you are a business owner looking for cooling and heating services, our contractors are able to assist you! Our heating and air conditioner company in Laporte, CO can repair air conditioners, electric furnaces, and boilers! Loss of efficiency, as well as ensuring your staff is comfortable is our biggest priority, so contact our office at (720) 276-1403 to receive the heating and air conditioning services that you want. Commercial Air Conditioner Repair Get repair service for your commercial air conditioning by calling our HVAC technicians. Commercial Boiler Repair If your boiler is acting weird, don’t wait! You can depend on our contractors for boiler repair. Commercial Boiler, AC & Furnace Service With the help of our commercial HVAC contractors, we are able to clean and provide upkeep for your AC and heating units to guarantee they are in excellent condition. Commercial Furnace Repair To get affordable and quality repairs for your commercial furnace, call our HVAC company. Commercial Rooftop HVAC Repair Get your commercial rooftop HVAC unit repaired immediately when you call us! All of the components in your heating system or AC works together in order to make the HVAC system operate. If you have no maintenance done to your HVAC system or there was inadequate installation, this will lead to components failing. If we can repair the component, we will, but if it’s too damaged then we can replace the part. Get in contact with our heating and air conditioner company in Laporte, CO at (720) 276-1403 when you need repair service or a replacement for HVAC components. AC & Heater Capacitors Replacement Our contractors are able to determine if the capacitors in your air conditioning or heating system are damaged and replace them. HVAC Blower Repair & Replacement To receive a whole HVAC blower replacement or repair service, call us. HVAC Circuit Board Replacement Since the circuit board is like the brain of an HVAC system, please get in touch with our technicians for replacement service when yours is malfunctioning. HVAC Relay Replacement Our HVAC technicians can inspect your heater or air conditioner unit and determine if the HVAC replay needs to be replaced. HVAC Thermostat Repair, Replace & Upgrade Whether you need thermostat replacement, repair, or need an update, you can depend on us for thermostat services.